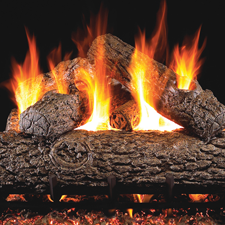 The Colonial is an air tight fireplace insert that will greatly improve the efficiency of your fireplace. With a heavy cast iron door with a cool touch wood handle, and an air washed ceramic glass that allows a magnificent view of the burning fire, it will be a beautiful addition to your existing hearth. It comes with the Hearth Surround to fully enclose the existing fireplace, and is equipped with a spring loaded automatic adjustment to make installation a breeze. Heats up to 1,800 square feet. Approved for Washington State, California, Colorado, Oregon, Utah. EPA Certified.